I applaud you for making the courageous and wise decision to seek counseling services. Along with the necessary training and experience is the relationship with the counselor and how they can support your personal search for meaning. 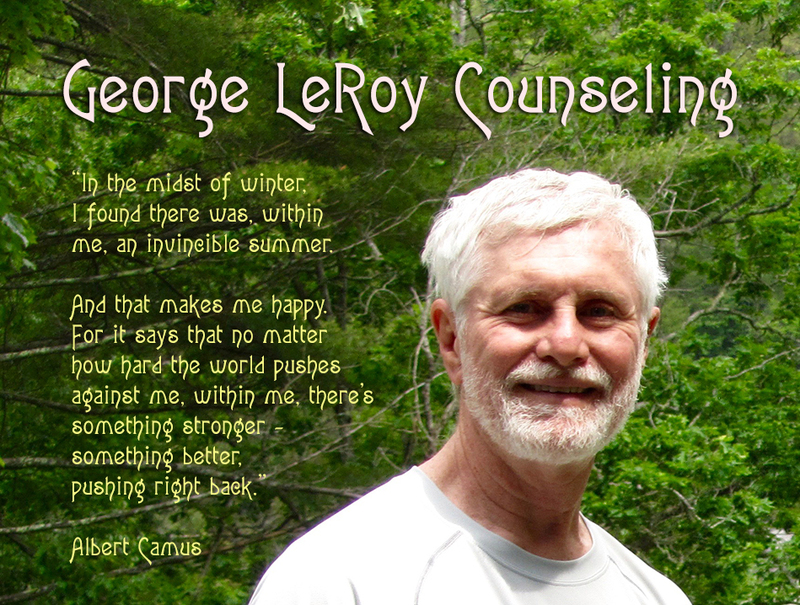 To learn about my life experience, please see “More About George.” I am also available for a free pre-session telephone consultation to identify your needs. My mobile phone is (828) 713-2163. Prior to our first session, you may print out the forms below, read and sign, then please bring them to your first office visit. Thank you for considering me as your counselor.